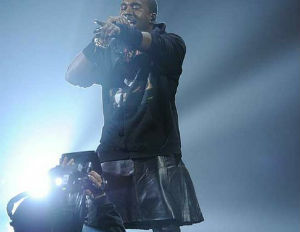 Kanye West has been known for his love of the finer things in life if his lyrics are any testament to his lifestyle. During a recent interview with Power 106, West said that Louis Vuitton is too expensive. “If I had the opportunity to design for Louis Vuitton now, I wouldn’t. The prices are too extreme. I wouldn’t want to use my message to have kids saving up that much to be a part of what the ideals are. That’s the problem to me with luxury,â€ he said. Kanye also commended brands such as H&M and Zara on their affordability for teeny boppers.